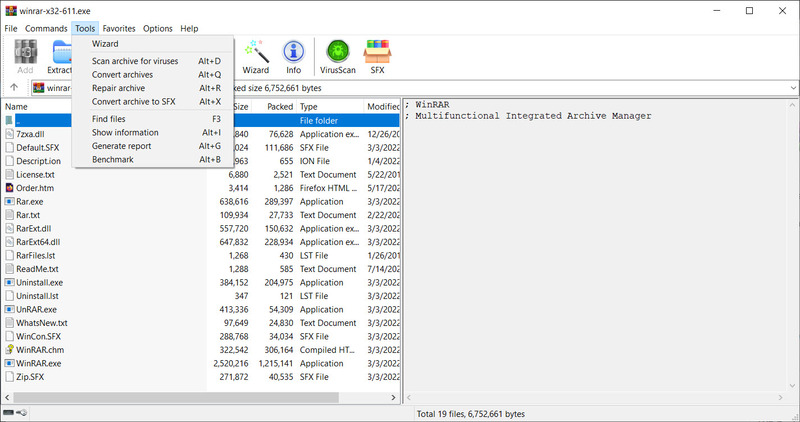 WinRAR 64-bit unpacks almost all archive formats in a straightforward and easy way that can be experienced for 40 days for free. The creation of an archive is a drag-and-drop operation or a browsing one. 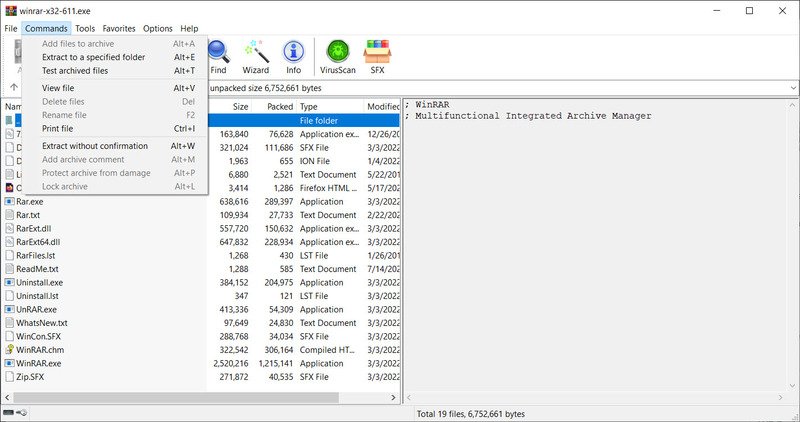 Coming with theme support, it sleekly integrates Add files, Extract, Test, Repair and Delete buttons. More advanced features enable users to lock archives, create self-extracting files and do benchmarking operations. The latest version harnesses the power of all the CPU’s cores to gain on compression and decompression times. On the other hand, low-resource systems may not by a good match for this compression utility, as RAM consumption during compression and extraction processes is quite large.